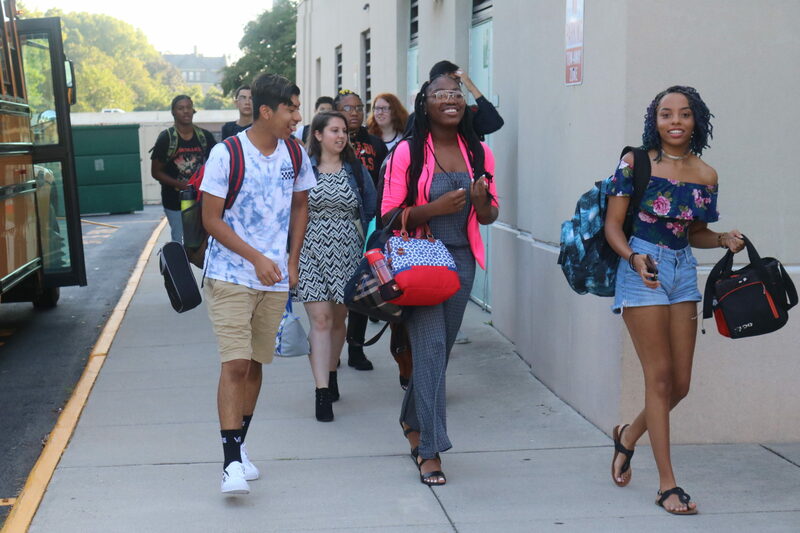 Students report no later than 7:45 am; doors will open at 7:30 am. Testing will begin promptly at 8:00 am and students arriving after testing begins may not participate in this assessment session. Please enter the building through the front doors at the top of the steps on the Lombardy side and proceed directly to your testing room. Testing will begin promptly at 8:00 am, and students arriving after testing begins may not participate in this assessment session. Only bring pencils for testing. Scratch paper will be provided. The use of electronic devices (calculators, cell phones, etc.) is not permitted during testing. There will be two breaks provided for which you may bring or purchase snacks. 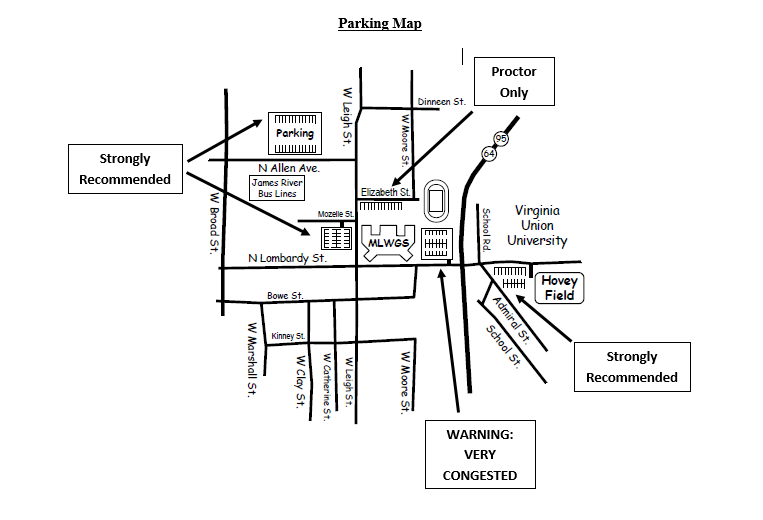 Please use the James River Bus lot, CD King lot, or Hovey Field lot for additional parking (see map) for additional parking. All students will be released from the North exit of the building to the student parking lot (facing toward Route 95/64).